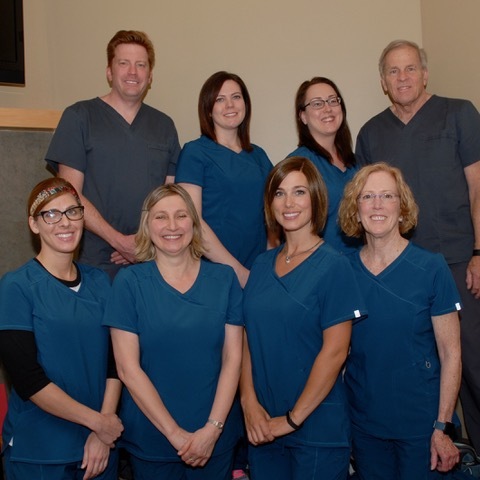 The first thing you'll notice when you walk into Mondale Dental is the incredibly friendly and inviting atmosphere. Members of our staff have been hand-picked to provide you the best possible experience during your visit to the dentist. Our receptionist Chris joined the team in 1996 and can answer all of your scheduling and insurance questions. A big Wild fan, you can also ask her any hockey question and odds are she knows the answer to that too! Chris has always been genuine, sincere and ready to help. Chris grew up in Ely, MN and enjoys attending Wild and Twins games, going to concerts and spending time with her family in Ely. 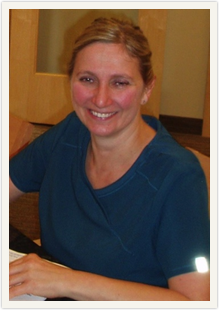 Judy is a dental hygienist and is currently working at the front desk. Judy grew up in Louisburg, KS. She moved to Owatonna, MN at age 15. She graduated from the University of Minnesota School of Dental Hygiene (where she met her husband, Dr. Roger). 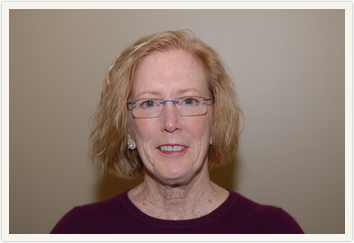 Judy consistently goes out of her way to help patients feel comfortable at the office and makes sure they have any treatment or scheduling concerns resolved. Judy enjoys, traveling, swimming and rowing in the summer, skiing in Utah and spending lots time with her grandchildren doing art projects. 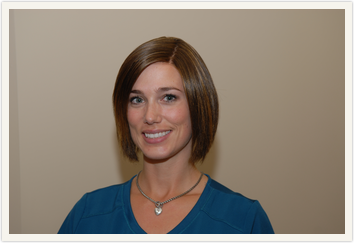 Our hygienist Angi joined the team in 2009 after receiving her degree in dental hygiene from Herzing University. Angi first worked with us as a dental assistant prior to getting her hygiene degree, and we were pleased to have her come back as a hygienist. You will feel confident in the chair with her experienced and thorough skills. Angi grew up in Corcoran, MN. Outside of the office, she has two children to keep her busy. In her free time, Angi enjoys volunteering in her community, riding her horse, and anything that gets her outdoors. Our hygienist Jessica is our newest team member. Jessica is a skilled and knowledgeable hygienist who got her degree in dental hygiene from Austin Community College in Austin, TX. Jessica grew up in Minneapolis. She moved back to Minnesota after living in Austin for 6 years to be closer to family. Her easy going nature will put you at ease the moment your cleaning begins. Aside from work Jessica is kept busy with her three kids. She enjoys spending time with family and being outdoors. Dental assistant Ewa has been Dr. Roger's right hand for 20 years! She is fluent in Polish as she was born and lived in Poland as a child. She attended Lakeland Medical Dental Academy where she received her associates degree in Dental Assisting. 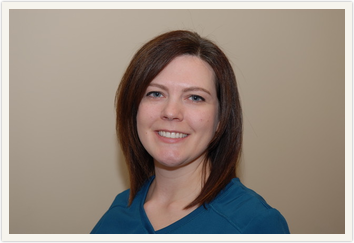 She brings her kind and caring ways everyday to Mondale Dental. In addition to being a great assistant, Ewa enjoys biking (manual and motor!) and spending time outdoors with her husband and two kids.